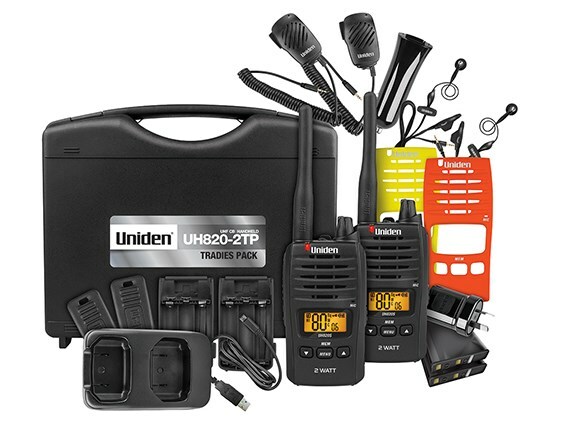 The Titanium series of two-way UHF radios built rugged for harsh Australian conditions has been released by Uniden. The two handheld radios are the 1W UH810S, which has a range of over 9km, and the 2W UH820S, which reaches up to 13km away. Features include a new voice enhancer with four audio settings — normal, bass, midrange and high — Master Scan technology for minimal disruptions and continuous conversations, and a smart key function which lets users toggle between voice enhancer, instant channel, call tone or keypad lock. A rechargeable 1,000mAh lithium-ion battery in the UH810S and a 1600mAh version in the UH820S give about 15 hours and 21 hours of talk time, respectively. As well as the more usual charging cradle, AC adaptor and car power jack options, the Titanium radios are able to get their juice via an included USB cable. 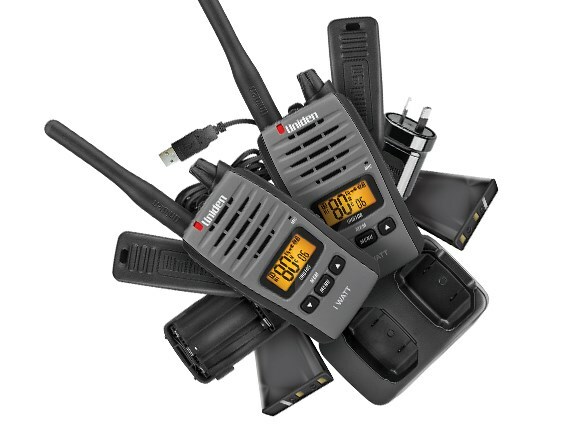 Uniden says the new Titanium series is available in single and twin pack configurations, and as a ‘Tradies Pack’ which includes two radios, two batteries with desktop charger cradle and AC adaptor, a USB charge cable and car power adaptor, two earpiece microphones, two speaker microphones, two belt clips, two battery jackets for back-up alkaline batteries, and a carry case.